Hello!! My name is Melissa Mortenson and I am proud to be one of BERNINA’s Brand Ambassadors! 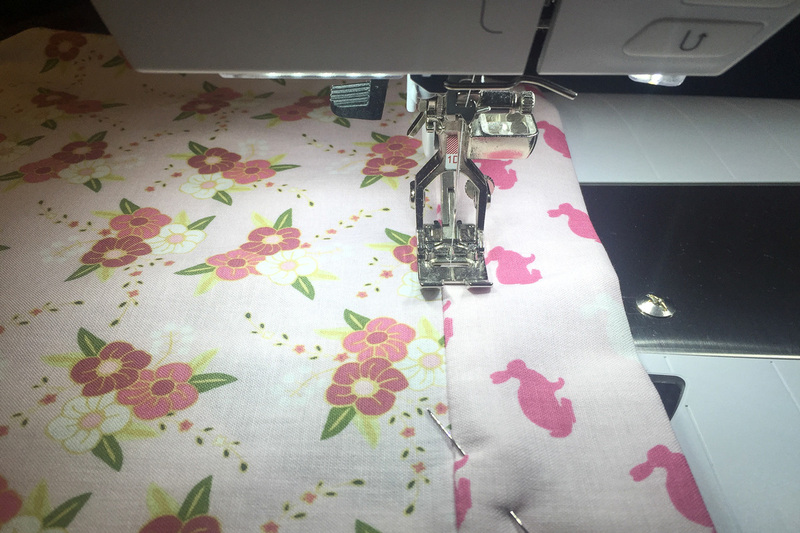 Most days you can find me stitching away in my sewing room creating projects for my blog the Polka Dot Chair, I’m also a fabric designer for Riley Blake Designs. I’ve been blogging for 8 years now and am passionate about getting the world to sew! 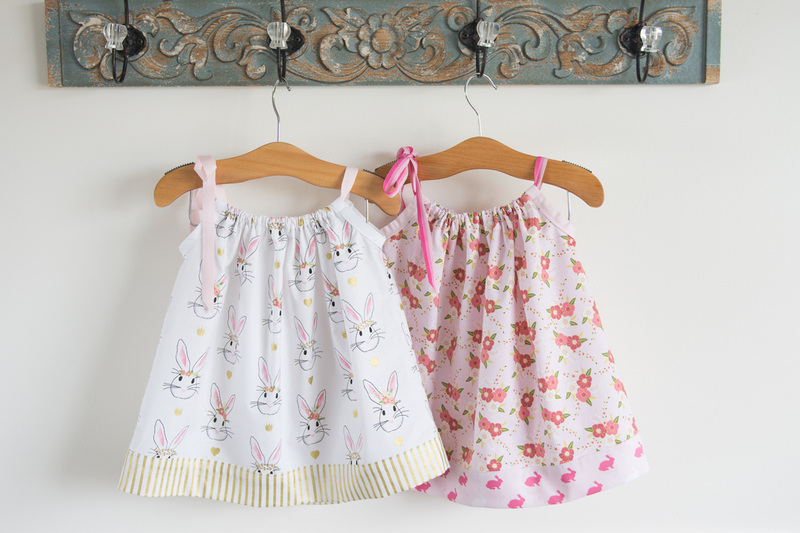 My kids are now all teenagers, so long gone are the days of me sewing them adorable little dresses for Easter. 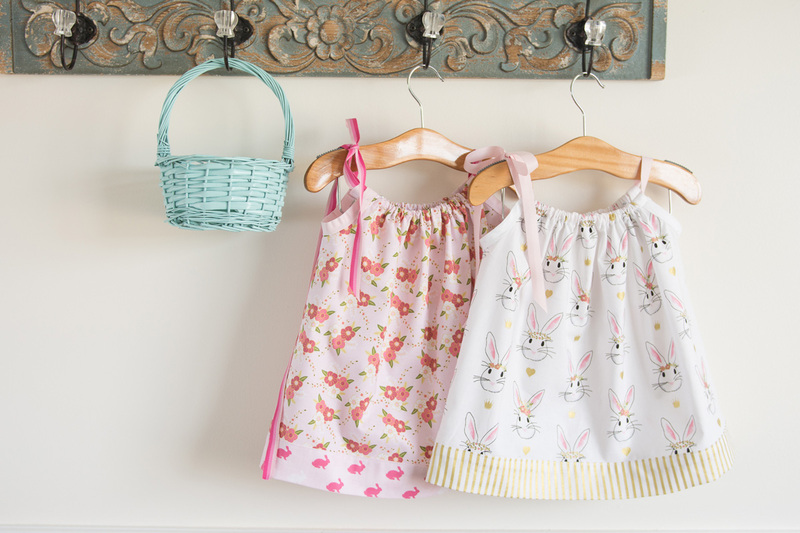 Let me tell you I absolutely adored sewing Easter dresses. I’d spend months dreaming up the design and enjoyed every minute of the construction process from fabric selection to finishing touches. When my girls were younger I used to love making them pillowcase dresses, I sat down and counted and I think I’ve made at least 20. They are very quick to sew and you can easily change them to any size you want! 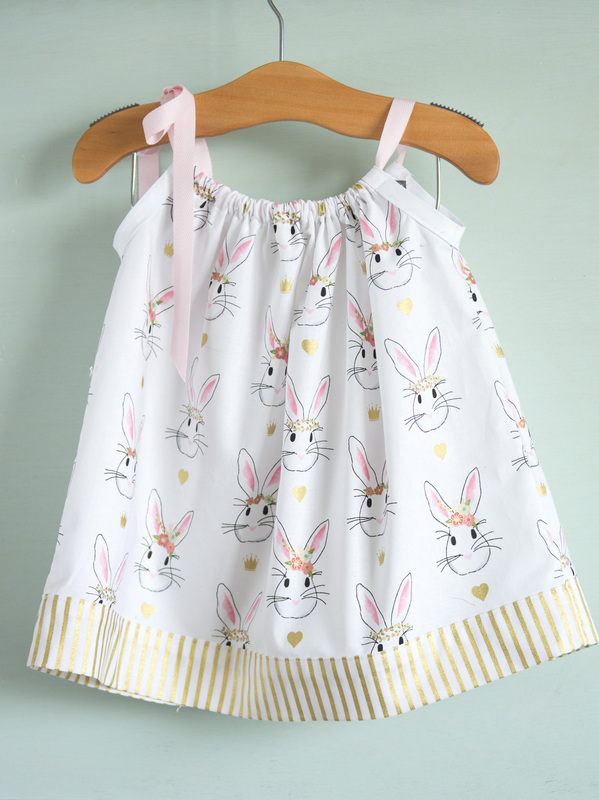 I was chatting with a friend the other day who said she wanted to make some dresses for her girls but had never sewn any children’s clothing before and wasn’t sure where to start. I immediately thought of those simple little pillowcase dresses that I used to sew. Since I know that many of you may also be new to the sewing world, I thought you might like a tutorial for a simple dress that you can sew yourself! 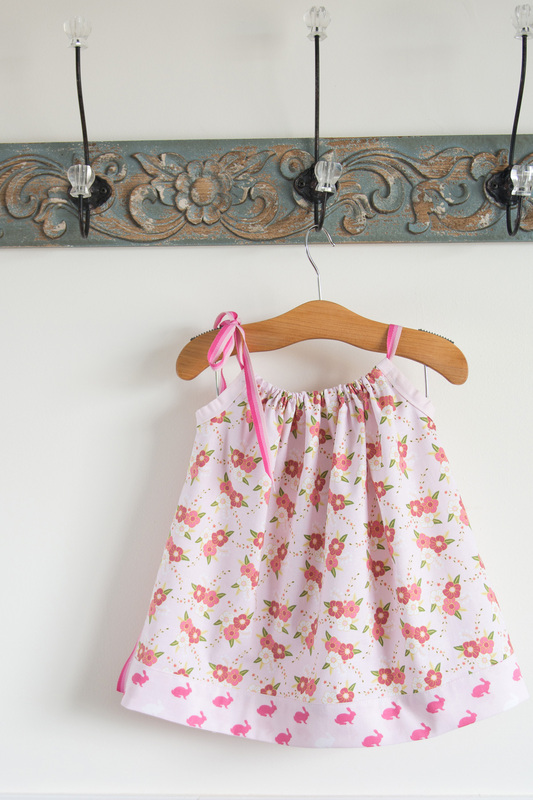 If you’re a more experienced seamstress, you’ll love how quick these little dresses are to make. The dresses I made are sized 3-6 months. You can easily resize the dresses as you like, and I’ve included some measurements for you to go by. Keep in mind though, that each child is unique so it’s always best to double check the dress dimensions before you start to sew. 1 package of double fold bias tape (I used extra wide since it is what I had on hand, you can use narrower bias if you want). Cut out your pieces using the size chart above. The length is the length of the dress from shoulder down plus the 2-3″ band at the bottom of the dress. If you’re not sure what size to make, measure your “model” and go by the length you want the dress to be. 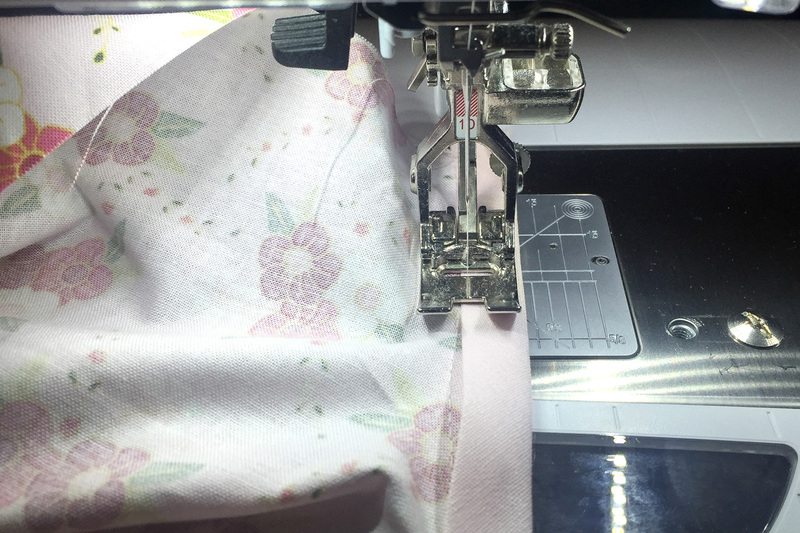 Most fabric is 44″ wide, that is why all of the pieces are 21″ wide, this will allow you to cut 2 pieces of fabric at the same time with minimal waste. Since the dress is gathered up in the front the smaller sizes will be more gathered and the larger sizes less. You can make the dress wider if you like, but you’ll need more fabric. 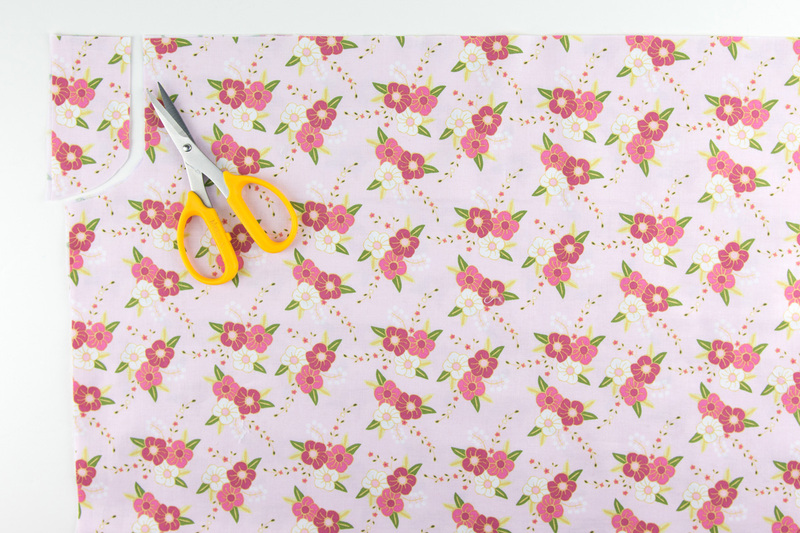 Begin by cutting two pieces of fabric 21″ by the desired length using the chart above. These are your dress front and back pieces. Cut two pieces of fabric for the band at the bottom also using the chart above as a guide. Next you need to cut your armholes. 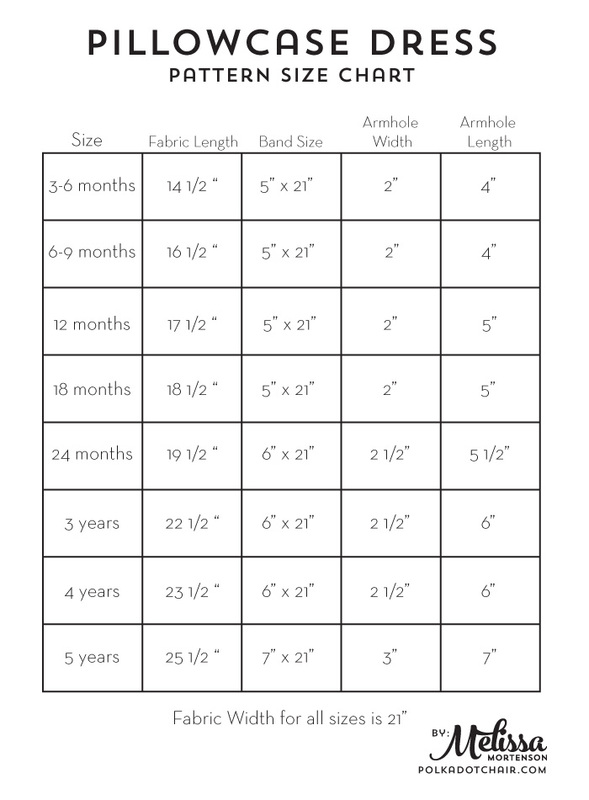 Since I made a size 3-6 months I measured in 2″ from the sides of my dress front and back pieces (along the 21″ side) and 4″ down (again refer to the chart). I then drew a line and rounded the corner with a CD (you want to cut out a J shaped hole) I cut out the arm hole then folded the pieces in half and cut the same hole out of the opposite side of the fabric. Next, sew the dress band to the dress front and back pieces, right sides facing. Press the seam towards the band. Sew the dress front and back pieces together using a french seam. To do this sew the dress front and back pieces together wrong sides facing. 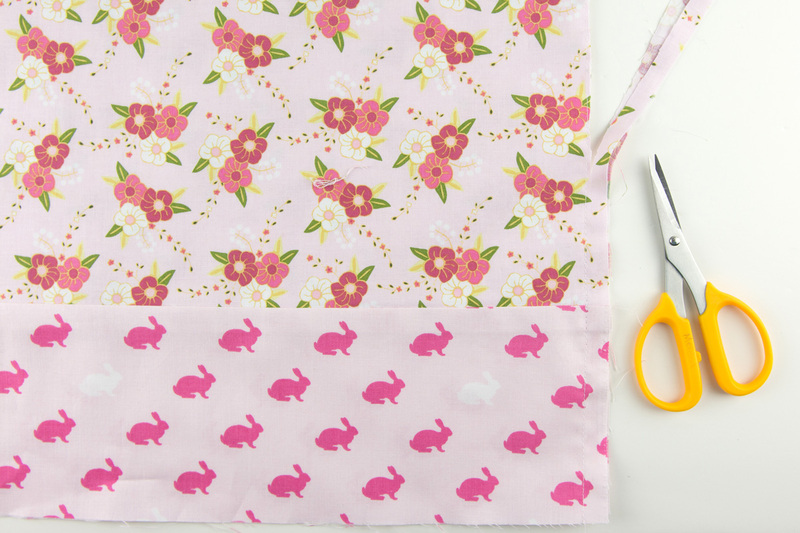 You will then use your scissors to trim the seam allowance down to a scant 1/8″. You want to cut as close to the seam as you can without actually cutting the seam. 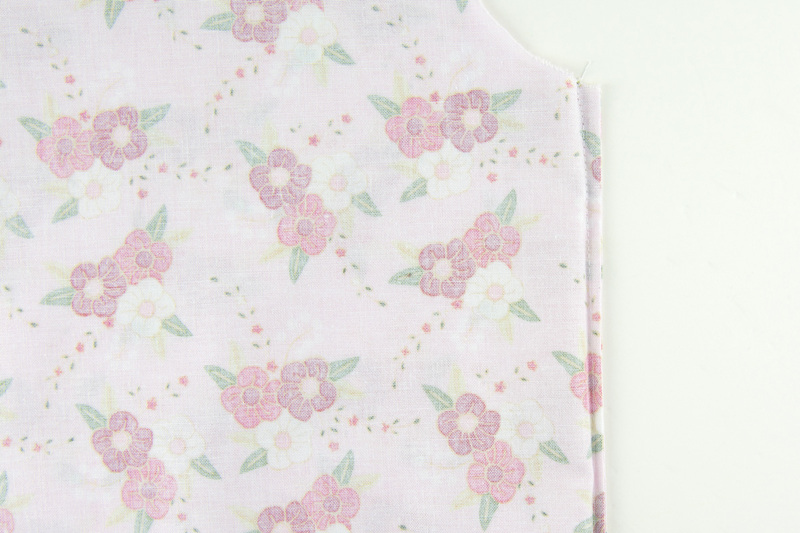 Turn the dress wrong side out and stitch down the side seam with a 1/4″ seam allowance. This will catch the raw edge of the seam and leave you with a nice finish on the inside of the dress. 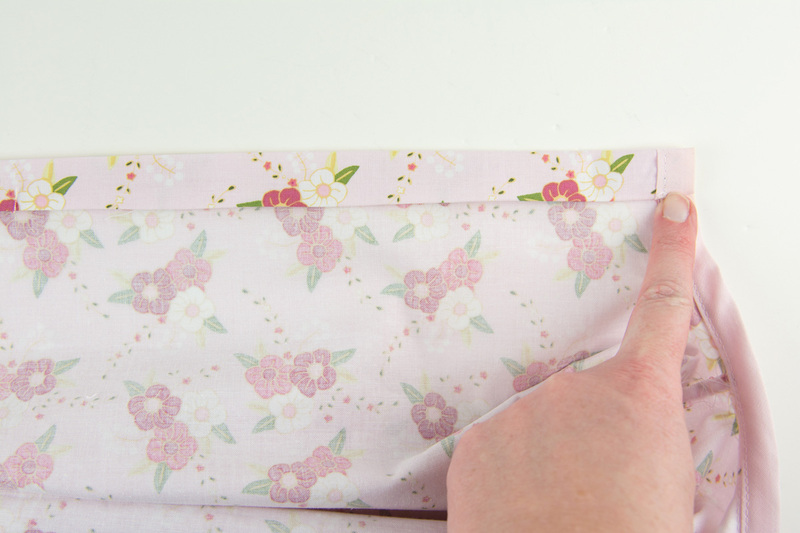 Press the raw edge of the dress band 1/2″ towards the wrong side of the fabric. Fold so that the folded edge is even with the seam between the dress and the dress band. Stitch band in place on the right side of the dress just inside the seam between the dress and dress band. 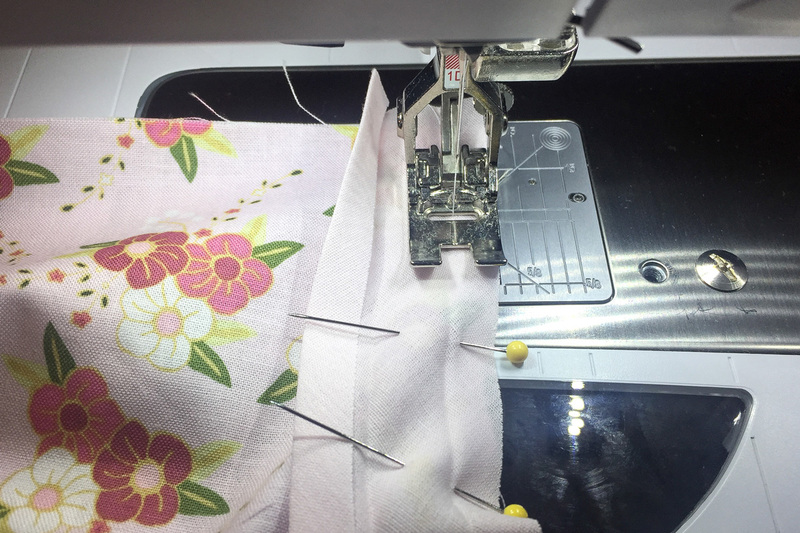 Engage your Dual Feed foot to help the fabric feed evenly as you stitch. Next you will finish off the arm holes. Take your double fold bias tape and unfold it. Pin the bias tape to the arm hole so the raw edge of the bias tape is even with the raw edge of the arm hole. Stitch in place close to the 1st fold in the bias tape. 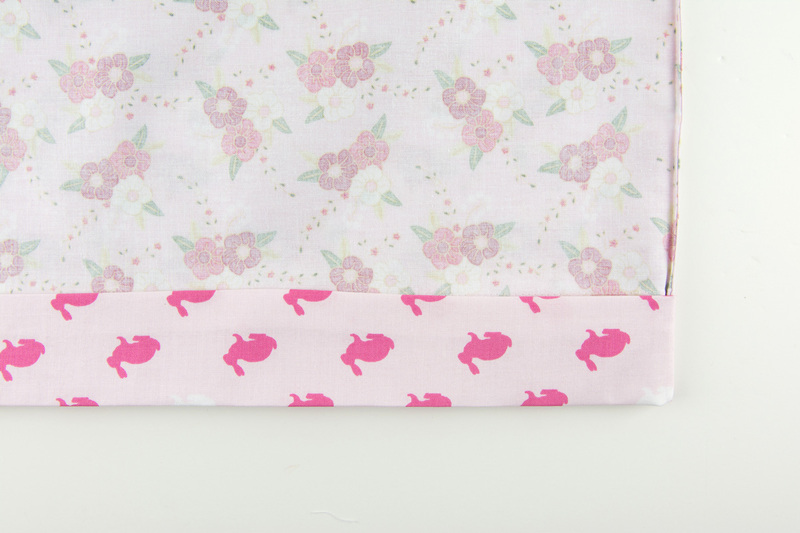 After you’re done stitching, refold the bias tape and stitch along the fold, catching all of the layers as you sew. To make the casing at the top of the dress. Press under the top edge of the dress 1/4″. 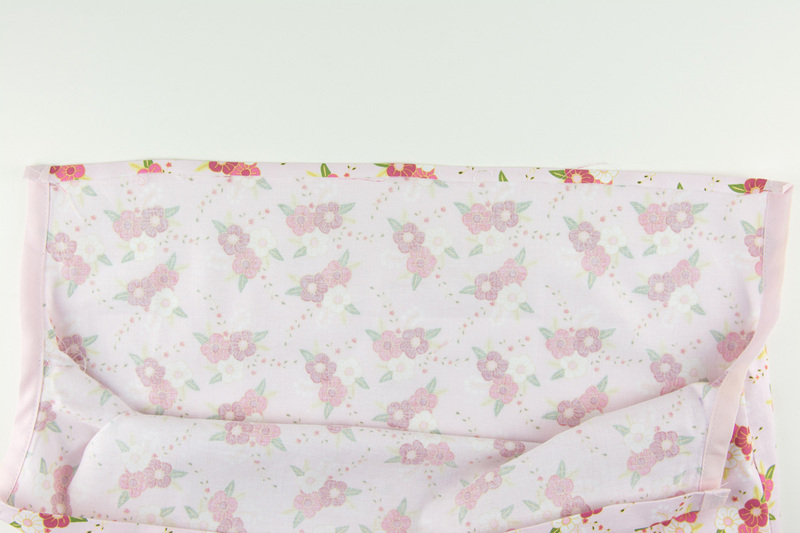 Fold the fabric down 3/4″ and press again. Stitch in place close to the folded edge. Feed your ribbon through the casing on the top of the dress starting at one side and going around the other side ending where you started. Pull on the ribbon to “gather” the top of the dress. Place a stitch through the center of the back of the dress to secure the ribbon in place (it’s always a good idea when making something for a small child to stitch ribbon in place so they can’t pull it out of the casing creating a hazard). Trim the ends of the ribbon and you’re done! This is absolutely gorgeous! Love the fabric! Thank you so much for the tutorial. I have been sewing for many years and have just recently seen these little dresses. I was wondering how they were made. Also, thank you for the french seam idea. I had never heard of that. It’s truly nice to have internet and get to learn new things from people who share their work. Have a nice day. Beautiful little dresses.I plan on making these for my little great grandaughters for the summer.Thanks for the tutorial. What a great idea! Makes me wish the grandkids were still younger. Oh, well. The oldest is 21 now, so maybe I’ll live long enough to do some great-grands! I used this tutorial for the basis of a witch’s dress for my 7 year old granddaughter – so easy and just what she wanted. The directions were easy to follow and very clear. 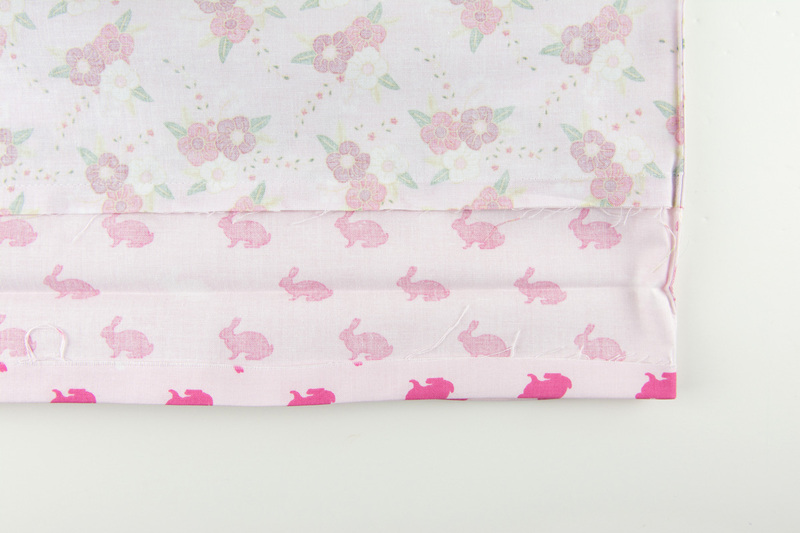 Can you possibly give me the measurements to make a newborn pillowcase dress? My daughter is due next week and I’d love to make her a couple of these to take to the hospital with her. Thank you so much they are adorable dresses and thank you so much for this tutorial much appreciated!! Can an actual pillowcase be used? (growing up we called them pillowslips). These are precious.